Overall success: Wow! That is a GINGER nut on steroids. I do not really have a sweet tooth so choosing this recipe took a while. I went through all sorts of ideas: can I count a tamarind martini as sweet? Maybe tamarind ice cream? Shall I make a chutney and that can be counted as sweet? After much deliberation and too much time procrastinating, the wonderful Daniel Lepard appeared in my search results with tamarind spice biscuits. The quantities below made 24 biscuits. 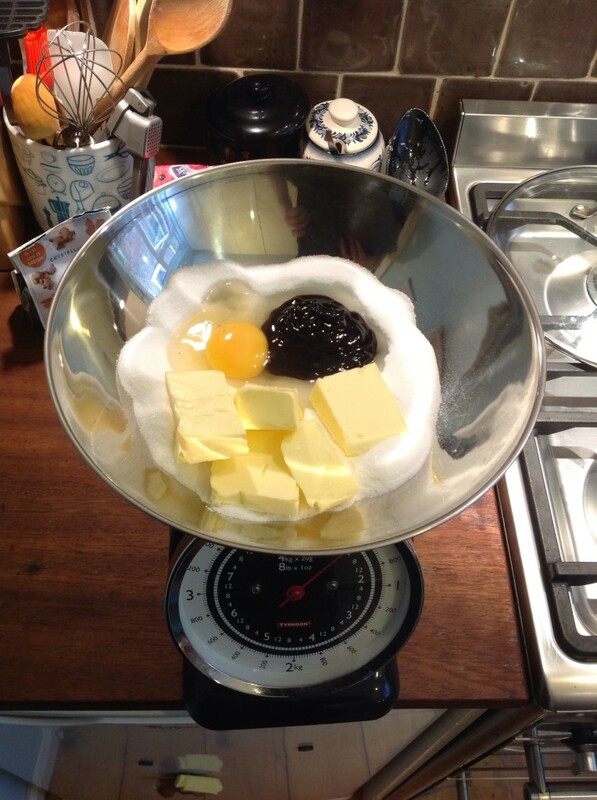 Weigh out then beat together the butter, sugar, tamarind and egg until smooth. 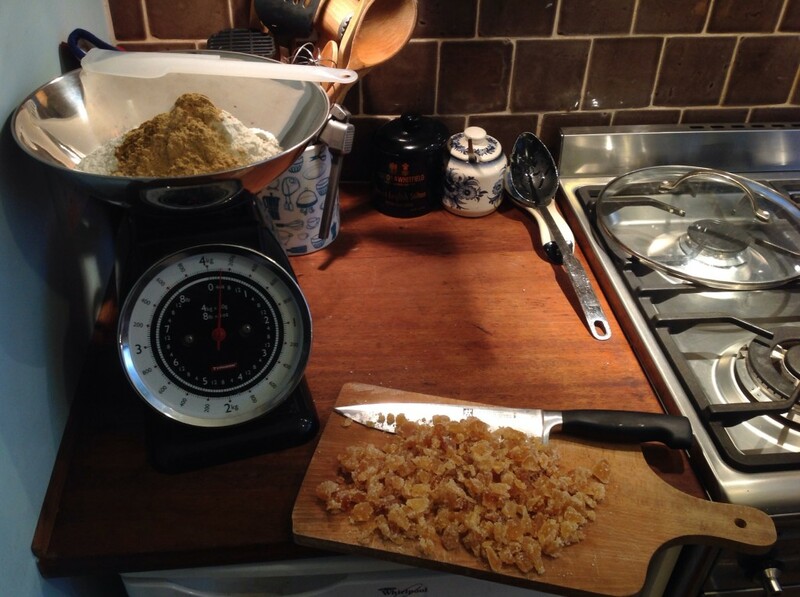 I then chopped the glacé ginger and there is a lot. I couldn’t believe it was all going in and checked the recipe a few times, but indeed, 200g was written and so I went with it. This was then added to the mix and beaten in. 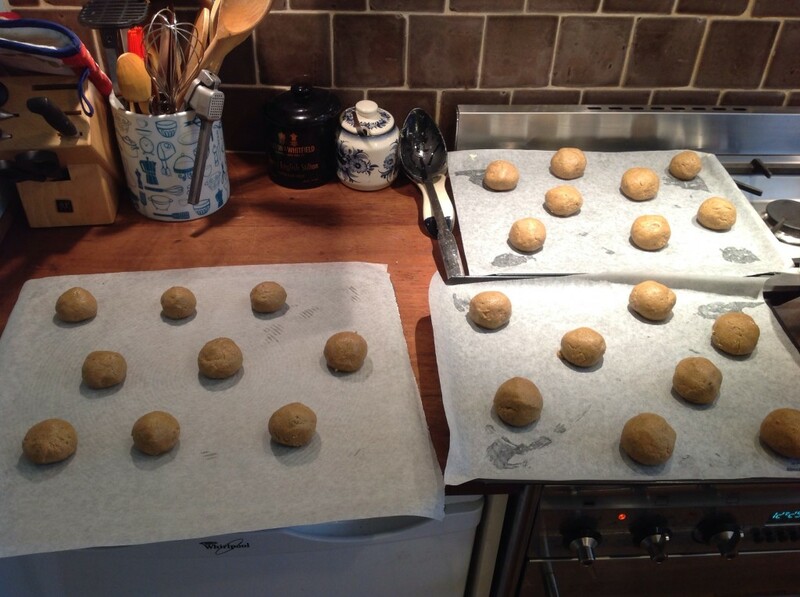 Then the flour and bicarb was stirred in thoroughly before picking small (walnut-sized) bits of mixture, rolling them into small balls between your hands, and placing 5cm apart on a tray lined with nonstick baking paper. 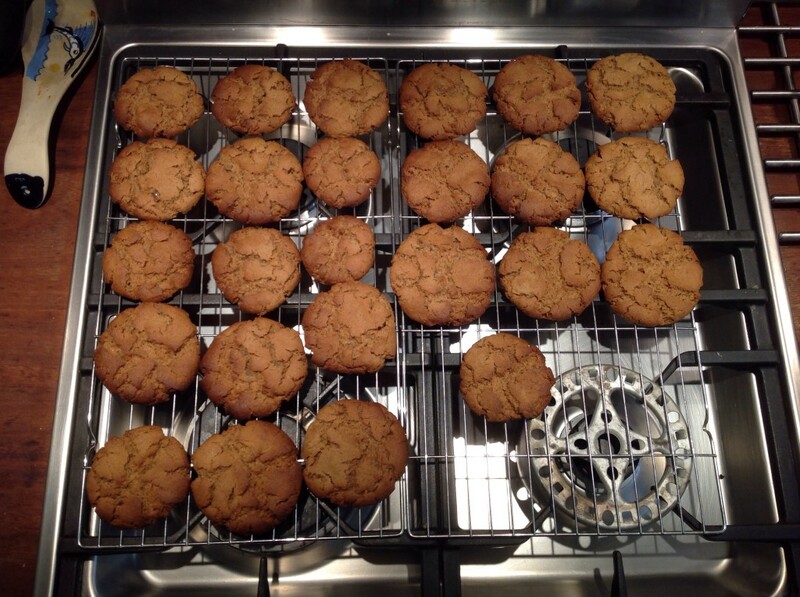 I baked them on three baking sheets for about 20 minutes on 150C fan-assisted. The result really was a taste sensation. A properly punch in the face ginger nut with added spices. The tamarind in this gives a kind of zingy flavour too. If I made these again (which I would) I would change the garam masala to mixed spice. Dave – yours are in the post. Make sure your socks are on tight before you tuck in! I love the sound of these because I love ginger and the aromatic spices sound good. But the bit I loved the most about this write-up is the bit where you say there are some in the post! Win! Wow, that is a *lot* of ginger! But it’s a Dan Lepard recipe (good choice), so it must be right. I’m going to hold fire on passing comment though, as you say there are some in the post! I’m excited – I get to taste the result! I shall now wait until I have tried them. A pimped ginger nut? Yes please. So, the postman called this morning with a small package. Half an hour later, I’m sat at my desk with a cup of coffee and one of Anya’s Tamarind spice biscuits by my side. I’ve eaten half of it already and my mouth is tingling. 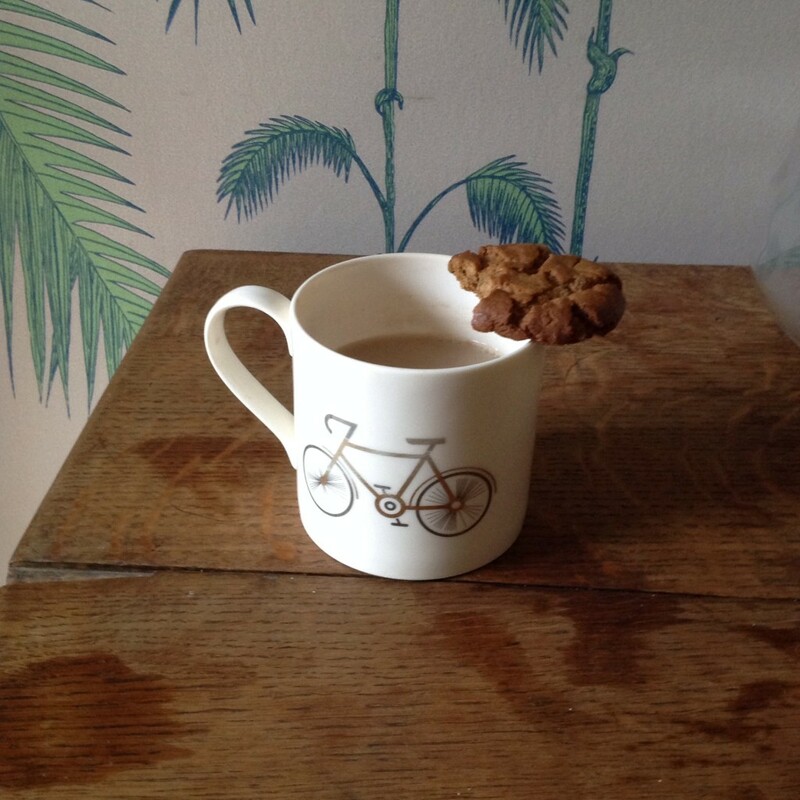 These are ginger nuts with attitude – boy are they spicy! The fieriness is strong, but it isn’t overwhelming, there’s a subtler background flavour too – something tangy but more mellow. The texture is good, just crisp enough around the edges, just chewy enough in the middle. Anya, these biscuits are superb. The 8/10 you rated at the top of the page is too skimpy. They warrant a 9/10 at least. Absolutely delicious. I love ginger biscuits and these are winners all around. I didn’t taste the tagine, just rich gingery spice and sugar. They travelled very well and retained their crisp shells. The only thing missing for the final .5 of a mark is granules of golden demarera sugar sprinkled over the top to sit glistening and crumbly in the perfect biscuit cracks and fissures. YES! Just a sniff of a point away from a Torvill and Dean moment.